The mission of the Metrolina Theatre Association is to increase the relevance of theatre in our community and improve the environment for theatre artists in the Charlotte region through advocacy, education and networking. The MTA is an all-volunteer, 501(c)3 tax-deductible non-profit organization. Incorporated in June of 1984, the Metrolina Theatre Association supports all levels of theatre in Charlotte-Mecklenburg and the surrounding area, including high school and college departments, community theatre organizations, professional theatres, and independent production companies. The membership of the MTA includes theatre management, artistic and auxiliary staff, actors, producers and other persons involved in creating theatre. Individuals not directly affiliated with specific organizations may also join. From its earliest days, MTA has consistently reached out to the community with events such as the Experimental Theatre Project in 1987, the Women Playwrights Festival in 1993, High School Theatre Festival in 1995, and hosting the Southeastern Theatre Conference and the national conference for the American Association of Community Theatre (AACTFest) in 2007. 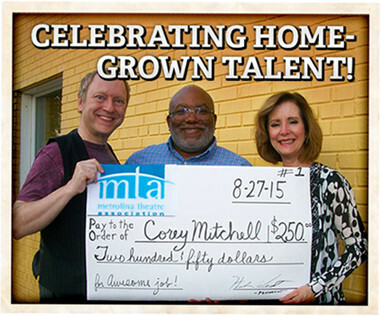 MTA looks forward to developing many new events for the Charlotte community over the next few years!